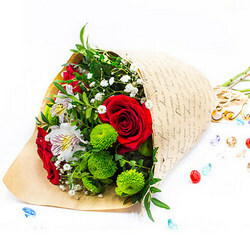 Thank you so much for the prompt delivery and great quality of 25 roses. Very much appreciate it! Спасибо огромное за быструю доставку и хорошее качество роз (25 штук). Благодарю! 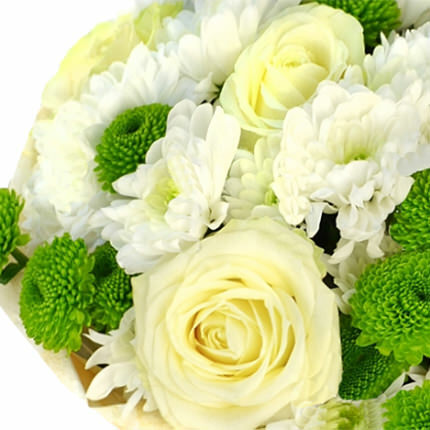 Bouquet "Feast my eyes on you!" 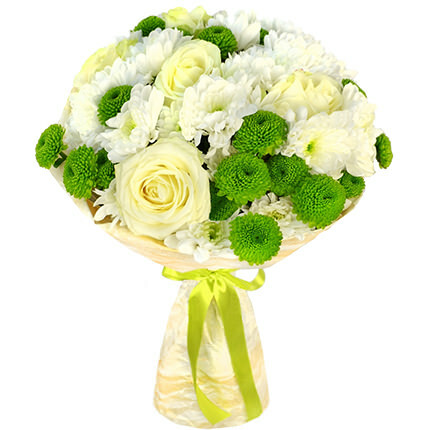 Beautiful bouquet is created especially for the refined natures! 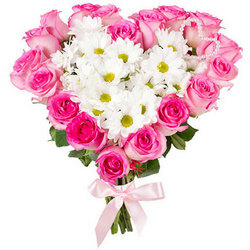 Pass the most tender feelings to dear person. 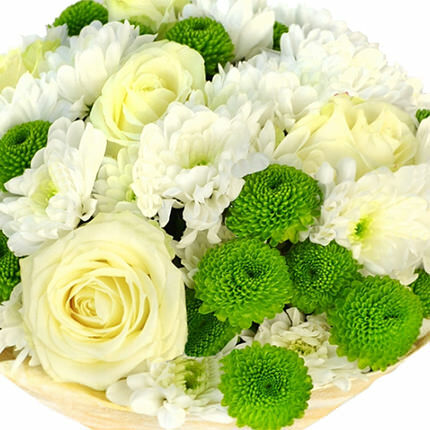 Composition: 7 white roses, 5 branches of white chamomile chrysanthemums, 5 branches of green santini chrysanthemums, greenery, package. 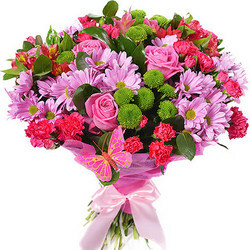 Bouquet "Love at first sight"
20032019 © Flowers.ua Bouquet "Feast my eyes on you!"